Fall Maintenance: Preparing Your Property for Winter - Darmax Inc. Cold weather is inevitable in Canada. Is your building ready? Sadly, the time of year has come when days get shorter, nights get colder and our minds turn from patios and landscaping to staying ahead of the ice that we know will come. 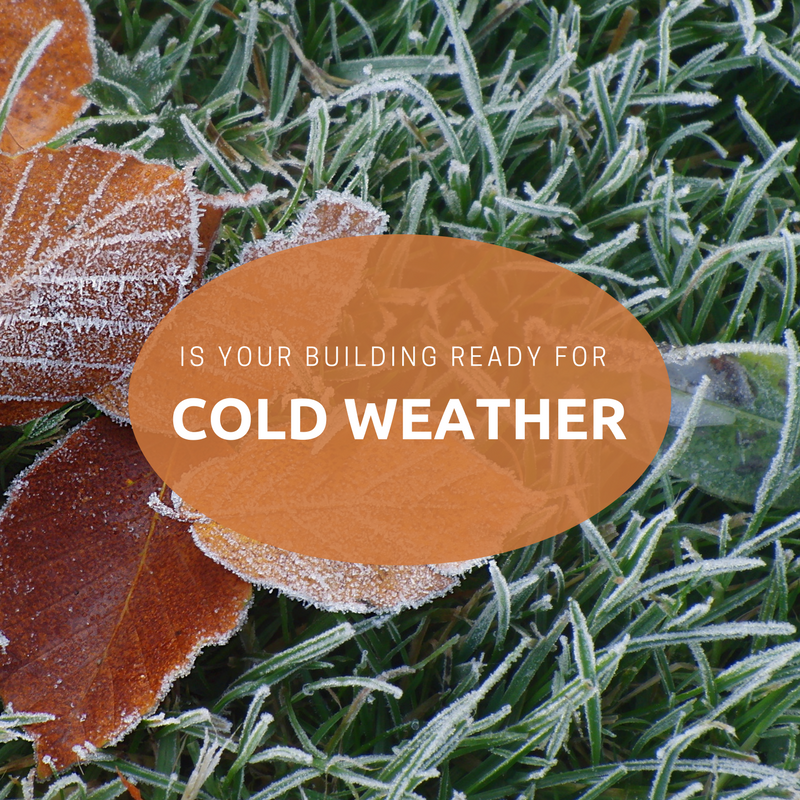 Have you given much thought to preparing your building for the cold weather? What do you need to think about? Where do you start? First, let’s look at why Fall Maintenance matters. In the past we’ve received calls for broken heating cables, ice dammed roofs, and flooded basements. Unfortunately, once the damage is done it takes much longer to make repairs. The added time is usually for melting the ice that caused (or contributed to) the damage in the first place. If you knew these things could be prevented, wouldn’t you at least try? After all, who needs any more stress? Exterior taps – close and drain the tap. There are many different types of exterior tap, be sure your maintenance provider knows how to care for yours. Roof – check and clear roof drains. We’ve also been asked to protect HVAC units and check caulking around roof penetration points to make sure the seals are still good. Gutters (eavestroughs) – clear leaf litter and other debris and make sure the downspouts are clear. Heating cables – make sure all are operational and clear of debris. Site drainage – check that storm drains are not full/backed up. Exterior Lighting – with the days getting shorter, it’s always better to start the winter with everything safe and operational. Heat in mechanical rooms – the mechanical room is usually the first and last line of defense for water that comes into your building. Make sure heaters are in place and have backup should the first heat source fail. The second heater is usually set fairly low so it only comes on when absolutely necessary. Sump Pumps – make sure they are operational and primed. Exterior foundation – you’ll be looking for holes where water and pests can get in. Sidewalks & Railings – identify and repair slip hazards and unstable railings. Floor drains – it never hurts to add inspection and priming to the list! It’s like checking the smoke detectors in your home when the time changes. Not all commercial buildings have all of these requirements; some buildings will have more! If you need help determining what your building needs, or to get it done, contact us or your local trusted maintenance company.